There are few ingredients, tropical at least, that work wonders for the skin and keeping the face clear as Lime (citrus aurantifolia) and Lemongrass (cymbopogon citratus). If you are from the Caribbean, then you already know about the wonderful, properties of both of these magnificent plants. Both are used when treating colds, coughs and the flu. In the Caribbean, limes are combined with honey and taken when you have a phlegmy cough. Lemongrass is taken as a tea and drank when one is suffering from fever (hence being locally called Fever Grass) or as a refreshing hot beverage in the morning. But also, for those in the know, both Lemongrass and Limes are also used as astringents and facial rinses to help regulate and control the oil production on the face and to keep acne and pimples at bay. Limes contain as much as 13 mg of vitamin C per 1.5 ounce of juice. That is 22% of the US FDA RV(Recommended Values). This highly concentrated form of Vitamin C is an important nutrient that is needed for the formation of collagen. Collagen is necessary in the repair and formation of skin tissue. Vitamin C also protects our cells from oxidative tissue damage that is caused by the free radicals and environmental toxins that we encounter daily. Limes contain both flavonoids and Vitamin C, which are both antioxidants, as well as exfoliating and detoxification agents that work together to slough the dead skin cells, rid impurities from the pores and assists in promoting new growth of the skin. Like Lemongrass, Lime is recommended for its astringent qualities which aids in the removal of excess oil from the skin. One component of Lime juice, citric acid, is what helps this very juicy fruit to act as a natural exfoliant peel for the skin. This is what makes Lime juice an excellent ingredient in the fight with acne. Lemongrass is a wonderful medicinal herbal that is anti-bacterial, anti-microbial and fungicidal. It is also a great astringent. Lemongrass helps to shrink the pores of the skin as firm the skin. 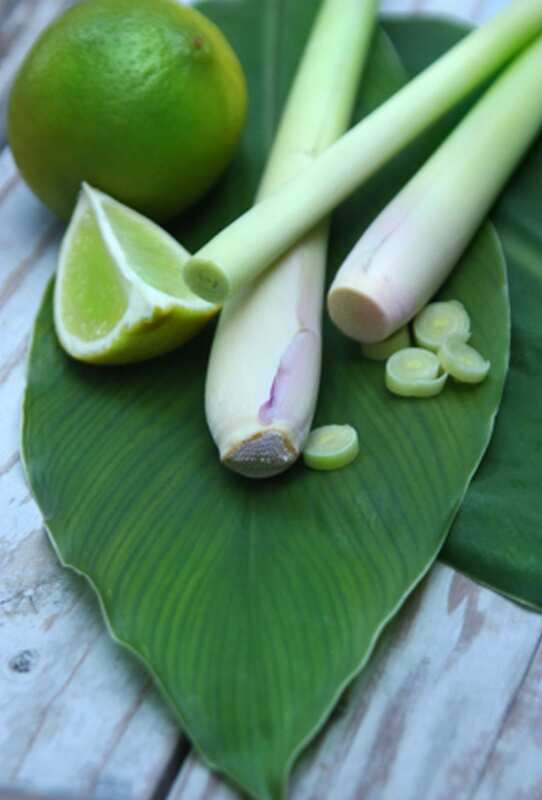 When used in combination with lime juice, lemongrass is very effective as a natural topical application for acne. Lemongrass contains small amounts of Vitamin C and Vitamin A. Both vitamins are also antioxidants and great for skin care, especially for the face. Lemongrass also contains essential vitamins such as pantothenic acid (Vitamin B5), pyridoxine (Vitamin B6) and thiamin (Vitamin B1). Here is a refreshing mix for you to use as part of your facial daily care. It is that simple. Simply squeeze the juice from one whole small lime into 8 oz of Lemongrass tisane and use this as a rinse for your skin. The Lemongrass tisane can be made by simply placing the herb in a container with 8 oz of hot water. The amount of herb you choose is up to you. Strain after 15 minutes and let cool before you use. Can be used in the morning after waking and again at the end of the day to help clean and refresh the face. Another option is to take a small lime, squeeze it into a cup of tepid water, and use that juice to wash the face. Again, this is a very great astringent for the face. Use it in the morning after waking and you can use it at the end of the day to help remove the dead skin cells and help in the removal of dirt and grease that has accumulated over the course of the day. And as always, remember to lightly moisturize when you are finished to help maintain the elasticity of the skin. Follow up with avocado oil (which helps to maintain and improve skin elasticity), rice bran oil or even olive or coconut oil. Your favorite facial moisturizer will be great also. For more information and interesting tips, please join our FaceBook community at www.facebook.com/itibabeauty and become a part of the family. Please post your comments and questions either here or on the FaceBook page. The information contained in this blog is purely for informational purposes and not meant to treat, diagnose or correct any medical condition. The FDA has not evaluated the information contained herein. Please make sure that if there are any problems, that you consult a licensed medical physician or naturopath for your medical needs.